This entry was posted in Kidlit Gems, Reading, Writing, & Reviewing and tagged Asia Bibi, Benazir Bhutto, Book recommendation: KidLit Gems, Christina Lamb, educating girls, Fazlullah, Gul Makai, I AM MALALA, IDP, Khushal School, KidLit Gem, Little Brown and Company, Malala Fund, Malala Yousafzai, Nobel Peace Prize, November 10 Malala Day, Pakistan, Pashtun, Queen Elizabeth Hospital, Shot by the Taliban, Swat Central Hospital, Swat Valley, terrorism, The Girl Who Stood Up For Education, Youngest recipient of the Nobel Peace Prize by annamarras. Bookmark the permalink. 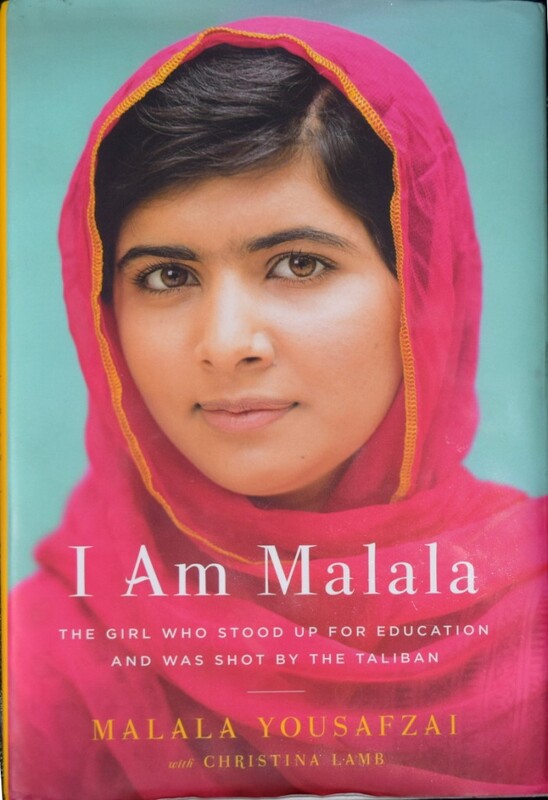 I just read a short bio (for younger kids) of Malala and look forward to reading this. One of the co-founders of The Malala Fund spoke at ILA this summer, and it was powerful stuff! Laura, considering what Malala has overcome and how she continues to change the world, I know you’ll be inspired. BTW, I’m a big fan of your work. Your fluid rhyming style makes me break into Mike Myer’s “I’m not worthy” mode. My critique groups threw confetti when I rewrote my rhyming picture books in prose.